Shots from high over Greenpoint today, and a few things to do! At the end of last week, which was a doozy incidentally (I actually had to wear a suit and tie one night), one had a chance to head over to Greenpoint and get high. High above the ground, that is. 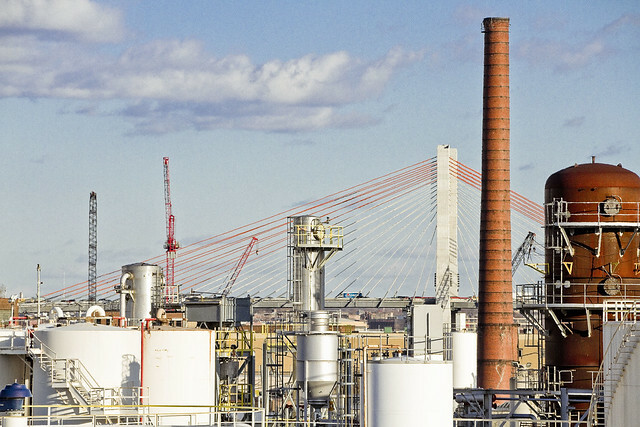 The shot above looks east over some oil industry infrastructure towards the new Kosciuszcko Bridge from the rooftop at 520 Kingsland Avenue. Newtown Creek Alliance, the Audubon Society, and Broadway Stages have created a green roof there that these shots were captured from. We need a lot of green roofs around the Newtown Creek, lords and ladies. That’s one of the points made over and over in the recently released visioning plan which NCA and Riverkeeper have just released. which can be accessed at this link. Last week, your Newtown Pentacle focused in on the Blissville section of LIC, but I’m hardly the only person to have fallen in love with the people and place. A fellow named a Hank Linhart has been bitten by the Blissville bug too, and produced a fantastic short film documentary about the place. I met Hank at a screening he did for the movie at the Greater Astoria Historic Society last autumn, and promised him that I’d find a spot to showcase it along the Creek. So, what are you doing this Thursday on the 22nd of March? Want to come see a movie for free? 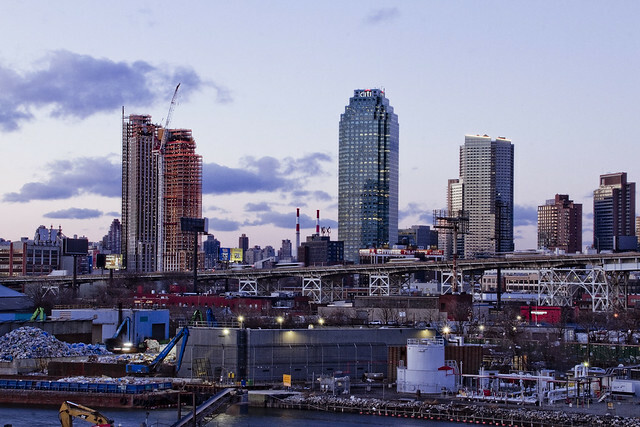 Please join NCA as we host a screening of “Blissville Stories,” a documentary film about the Queens neighborhood bounded by the Newtown Creek, the Long Island Expressway, and Calvary Cemetery. We will be joined by filmmaker Hank Linhart. More info about the Blissville Stories can be found here. 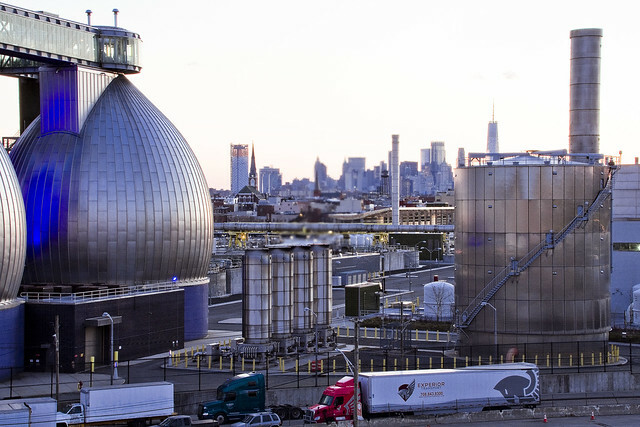 This shot looks southwest, over the sewer plant towards Manhattan. The middle section of the shot isn’t out of focus, rather you’re looking through jets of methane which are produced by the plant which the NYC DEP burns off. I’ve called it Brooklyn’s invisible flame in the past. Finally – hold the date for me on April 15th. That grueling 13 and change mile death march through the bowels of New York City known as the “Newtown Creekathon” will be underway on that day, and I’ll be leading the charge as we hit every little corner and section of the waterway. Keep an eye on the NCA events page for more information.